Lee Nelson's sense of humour and strong personality shines through incredibly. As a spokesperson, he has a fantastic talent in speaking and getting his message across in a light-hearted and comedic manner. Amongst the radio coverage he's recorded, below is a video shot he partook in for Domino's Pizza. If you're interested in a comedian for any radio or TV interviews please get in contact with us. Lee Nelson is an English comedian, performing both on the stand-up circuit and in comedy television series, who's real name is Simon Brodkin. Performing solo stand-up since 2004, he has also written for and appeared on the television shows Al Murray's Multiple Personality Disorder in 2009, Lee Nelson's Well Good Show in 2010 and Lee Nelson's Well Funny People in 2013. He is known for taking part in pranks as his characters at public events, some of which have resulted in prosecution. Brodkin performed his first solo comedy show at the Edinburgh Festival Fringe in 2006, titled Simon Brodkin: Everyone But Himself. 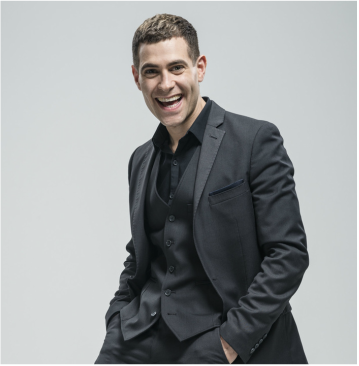 In his Lee Nelson stand-up routine, Brodkin's character typically interacts with his audience, telling them about his life, asking them questions, then replying with responses that reflect his world view, his own ignorance or his own stereotypically antisocial attitudes. His act is peppered with slang words. In character as Lee Nelson, he briefly stood as a candidate in the South Shields by-election, 2013. Brodkin also performs a selection of other characters, including Jason Bent, an unintelligent Premiership footballer with a Merseyside accent. Other characters have included the sleazy and incompetent Dr. Bob. Brodkin is Jewish. When an audience in 2007 gasped at a joke which they perceived to be anti-Semitic, he said "It’s OK, I’m Jewish. My relatives died for that joke." In 2009, Brodkin was commissioned by the BBC to write his own show for BBC Three. Titled Lee Nelson's Well Good Show, it was broadcast from 10 June 2010 on BBC Three in the 22.30 slot. It features Brodkin in character in a studio setting, but also features television sketches of his other characters. The show was commissioned for a second series, which aired on 25 August 2011.